If I were a betting girl, I would bet a hole in a donut you have students sitting in your classroom who look as though they’ve lost their best friend the moment you mention WRITING. I mean…they DREAD writing worse than anything, and no matter how much of a “dog and pony show” you do trying to promote and market this key component of literacy, they clearly do not demonstrate GRIT (for teachers using Growth Mindset in their classroom) when it comes to writing! In other words, they throw in the towel! 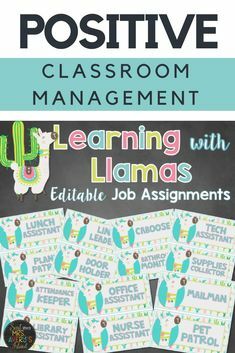 As educators, we can all agree that students will avoid mentally challenging tasks or assignments like the plague…especially those that don’t come natural for them. 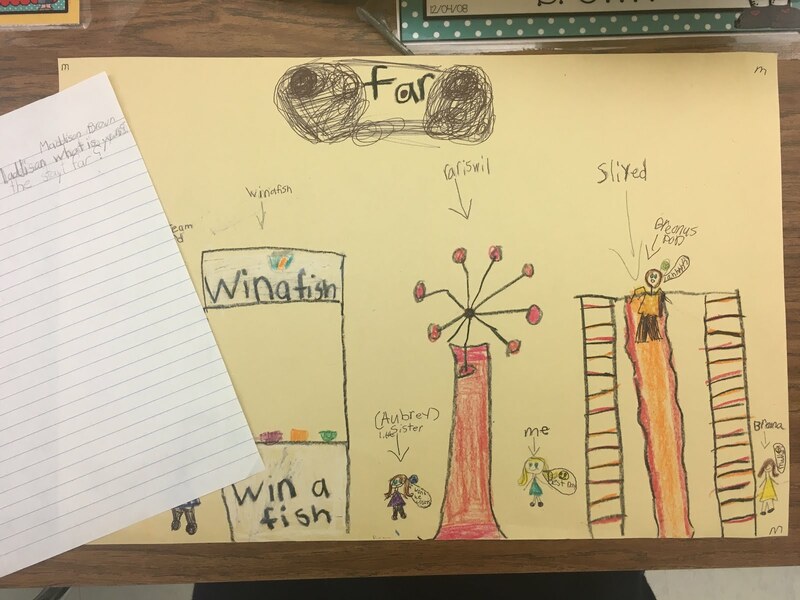 With that said, I would like to virtually invite you into my classroom to share with you how I am miraculously turning my non-writers into amazing little authors and observing students who are taking their love for writing to a whole new level in just a few steps! ALWAYS AVOID THE WORD “WRITING” ON THIS DAY! In fact, on the first day, I gave my students a large sheet of manilla paper and told them to think of a fun place/adventure they had gone on before. (This allows them to have choice, as well as, background knowledge they will use later.) Personally, I would find it difficult to write about a place/topic I had no prior knowledge of too, so how could I expect that from my 2nd graders? 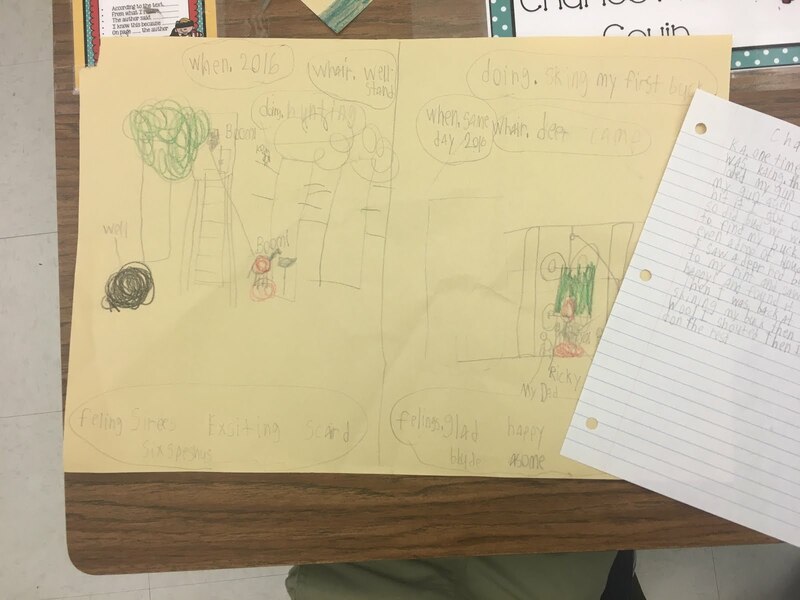 In the poster below, this student illustrated a squirrel hunting adventure he went on with his dad and a friend. No joke… THIS is the kid that would sit, stare, and find every reason to leave the classroom to avoid having to write. Thirty minutes later, he wouldn’t even have the first word on his paper. …and here’s how my life as a writing teacher changed forever! Have you ever seen the series of video clips on YouTube for writing personal narratives from Teaching Without Frills? If you have not ever seen the short, and I do mean short… like 3-6 minutes kind of short, video clips on writing personal narratives from Teaching Without Frills, I strongly encourage you to check them out! These videos have literally been my game changer! These clips captivate my students attention…YES, even those students that most would say could never be captivated! When I first introduced my students to these clips, I would only play the clip which applied to where we were in our writing process. For example, I played the Brainstorming and Prewriting episodes after my students created their poster for the purpose of not wanting my students to select a topic from the clip, but still to show them how they can come up with a topic to write about. I’m a firm believer in the tool, copy and paste; however, I wanted my students to think independently and not copy and paste what the video suggested. Episode 3: Writing an Introduction The main objective in this lesson is for students to learn how to write a strong introduction and hook the reader! No joke, when I tell you my kids blew me away after watching this 3 minute video, I’M NOT KIDDING! The video simply breaks it down for students to write a “hook” and a strong introduction. Students are taught how to write four different types of “hooks”. After watching this clip, I gave my students about 20 minutes to write a strong introduction and hook. Episode 4: Writing a Draft In this episode, students are taught that writing a draft is the very first version of their story. They also learned they should only tell the most important events and in the order they occurred. I also emphasized the importance of using temporal, or time order, words to help the reader make connections and for the narrative to have a general flow. We discussed the importance of using “college kid” types of sentences (a variety of sentence types) with strong adjectives and adverbs so our audience would be able to visualize as if they were there. This stage of the process can vary. You will find that your stronger writers will need more time than your weaker writers, but that’s okay! This is a learning process and I promise you will see more and more growth among ALL of your students. Episode 6: Revising Your Story This episode teaches students that changes are made to make the narrative stronger and to make sure it makes sense before it is published. Students are taught to add, remove, or change words to make the story more interesting. One strategy for teaching students how to add strong adjectives is to have them highlight 10 (or your preference) nouns. Then have your students place a word in front of each noun to make it more interesting. For example, if the sentence was, “My mom surprised me with a puppy.” Students could change it to, “My precious mom surprised me with an adorable puppy.” This is a perfect time to share the importance of synonyms too so that students avoid using the same adjective over and over! Episode 7: Editing This episode focuses on the importance of correcting any spelling, grammar, capitalization, and punctuation mistakes before publishing. During this stage, I have my students individually meet with me. They read it to me, and I use a highlighter and mark the mistakes that students need to correct. This stage sort of works out naturally because everyone isn’t finishing at the same time. Once my above grade level/stronger writers are finished, they become a peer editor too! This makes it easier on me and avoids the lag time when that student, and yes…we all have them, decides to get the wise idea to tie his shoelaces together! Episode 8: Publishing Our Writing Students are so proud of their accomplished narrative! During this stage, students are given their “fancy” paper to transfer their revised and edited story to. It’s amazing how they naturally want to write in their BEST handwriting to make sure it looks ready for the shelves at Barnes and Noble! As you can see, teaching students how to write a quality personal narrative isn’t done in one day. I often remind my students, Robert Munsch, Dr. Seuss, Laura Numeroff, or any other popular author didn’t write a story or book in one sitting. It is a lengthy process and like training for a marathon, but no doubt, it’s a process that makes all students boast with pride once they complete their published version. Each day we go into our “Writers’ Workshop”, I have these video clips playing in the background….They just loop from one clip into the next. My students NEVER get tired of them, and it’s amazing how many elements I am discovering in their writing samples now. From STRONG introductions and conclusions, to onomatopoeia, to amazing “hooks”! They are phenomenal! Although my students have choice when they are at the writing center, the last thing I want them doing is wasting a single minute thinking of what to write about. Therefore, I keep a monthly menu available for them to use if needed. (These menus are especially helpful for beginning writers. Students need practice, practice, and more practice with written expression in order to be successful writers. Because standardized tests require students to respond to writing prompts and demonstrate their knowledge of grammar skills, capitalization rules, using correct punctuation, using temporal words to create that natural flow, etc., it is never too early to start preparing them. As the saying goes, “Practice makes Perfect”, so why wouldn’t we want to expose them to many writing opportunities. How would you like to NEVER have to scramble for another journal topic again? 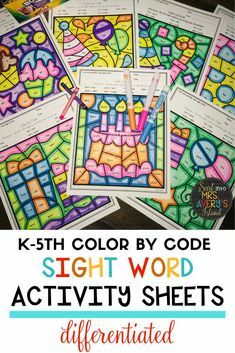 Take a look at this NO PREP, Year Long Writing Bundle and see what hundreds of other teachers and homeschoolers have to say! Each month included in the bundle comes with 20 engaging writing prompts, a monthly menu of story starters, seasonal/thematic Word Work cards, a student writing rubric, and a writing reference guide full of tips for students to keep in their writing journal/binder. 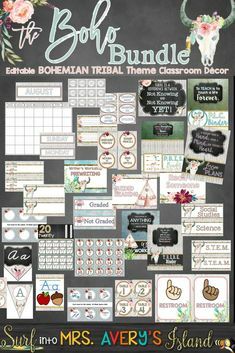 The writing templates for each month have a unique border to help teachers keep track of when students completed the writing to help track their students’ growth. Click Here to Surf on Over and Take a Look! I hope you find this blog post helpful for teaching your students how to become successful writers. I would love to know your thoughts! Please leave me a comment and let me know what you think!